Got a misdemeanor or traffic warrant? Santa Clara County in California is giving a second chance to non-violent offenders with outstanding warrants this December. Someone with an outstanding warrant and citation is given another court date and gets to stay with their families this holiday season without worrying about the possibility of arrest. A ‘second chance’ program in our immigration system is long overdue. United States immigration laws provide a quick remedy for immigrant spouses of citizens to adjust status. But at the same time, it punishes U.S. citizens married to undocumented immigrants who entered without inspection. The only remedy in these cases is a 3-10 year bar from the United States and an extremely difficult I-601 waiver to get the deported family member back to the United States. American Families United, an organization that is fervently working to keep mixed-status immigration families together, has an action alert for us to sign to encourage the Senate to take on waiver reform. The current I-601 waiver system is plagued with numerous problems. For too many minor immigration mistakes and violations, such as missing a court date or USCIS delivering a letter to the wrong address, the immigrant is deported and barred from the United States for up to ten years with little regard for their U.S. citizen family members. Keeping families together, along with weighing the skills and educational merit of the immigrant, currently has no bearing on the waiver process. 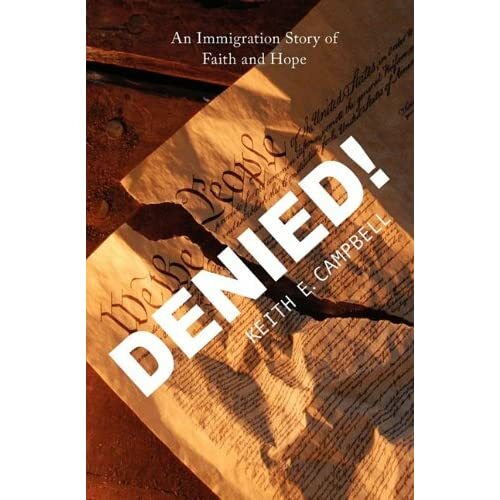 In many cases, citizens of the United States have to leave their homes to reside with their loved ones, an exile that sparks historical memories of a time when women lost their citizenship due to the alien status of their husbands. Waiver reform is simple. It means that if someone misses a court date, instead of getting deported, there are legal avenues available to get the court date waived and a new date assigned. This makes far more sense than detaining immigrants, barring them from legal counsels and herding them through the detention system like cattle only to deport them from their families, causing emotional and financial hardship. Another way to fix the system would be to reinstate the 245(i) remedy for the purpose of providing a means for citizens to correct their spouses’ unauthorized immigration status. By making legal immigration avenues almost impossible to navigate, the current system encourages illegal immigration and national security concerns. No one is served by keeping families in the shadows. (Photo credit: Denied! is the true story of a mixed-status legitimate couple and their fight to stay in the United States).